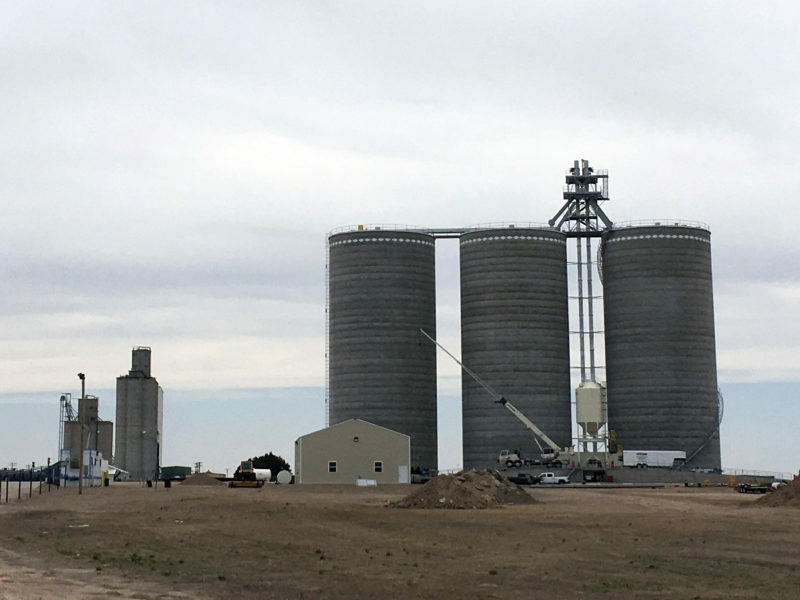 During one of the biggest feed grain harvests on record, western Kansas farmers are reaping the rewards of a partnership between Scott Cooperative of Scott, Kan., and The Scoular Company headquartered in Omaha, Neb. 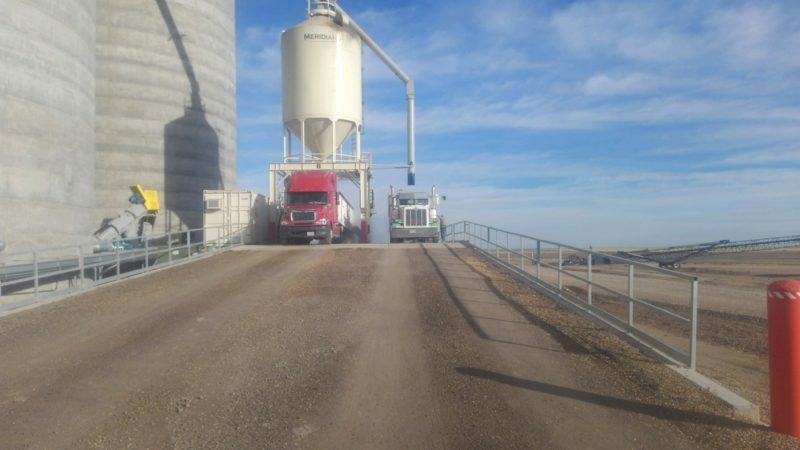 -- access to an upgraded, fast-unloading grain operation in Selkirk, Kan., owned by the partnership and operated by Scott Coop. The new one-million-bushel facility, boasting 30,000 bushels per hour of unload capacity, was completed in May of this year, just in time for the 2018 wheat harvest. “Scott Coop and Scoular have a longstanding relationship, and we’re pleased to have been working together as business partners since 2014,” says Jason Baker, General Manager for Scott Coop. Baker says the partnership with Scoular leverages the strong-suits of both companies, citing in particular Scoular’s extensive merchandising network and know-how and Scott Cooperative’s nearly 60-year history of providing a high level of service to its member owners. By working together, the two organizations offer improved access to markets and services for western Kansas producers, says Baker, whose comments are echoed by Ron Bingham, who oversees Scoular’s truck grain merchandising activities in the Great Plains. “Scoular is committed to identifying innovative ways to serve U.S. farmers,” says Bingham. Baker and Bingham both add that the Scoular and Scott Cooperative venture will continue to seek additional expansion opportunities. Scott Coop and Scoular formed their partnership in 2014 with the purchase of the original facility in Selkirk, Kansas. A year later the partnership added another facility in nearby Pence, Kansas. Both facilities are operated by Scott Cooperative and are part of the coop’s network of Kansas operations, which also includes facilities in Scott City, Marienthal, Shallow Water, Grigston, Manning, and Modoc. In addition to its partnership facilities with Scott Coop, Scoular operates 13 facilities in the state of Kansas. Scoular is 126-year old employee-owned company with more than $4 billion in sales, and its 100+ independent business units provide diverse supply chain solutions for end-users and suppliers of grain, feed ingredients, and food ingredients around the globe. From 100+ offices and grain-handling facilities in North America, South America, and Asia, 1000+ employees are engaged in the business of buying, selling, storing, handling, and processing grain and ingredients as well as managing transportation and logistics worldwide.